I think it all started 20 years ago. The earliest memory I have of the Kentucky Derby is 1994. I was 8 years old, and I remember my dad making a big deal out of some horse called “Holy Bull” that was supposed to be the favorite that year. Holy Bull had won nearly every race to that point, and he entered the race at 2-1 odds – he was a certainty to win the Run for the Roses. He finished embarrassingly in 12th place. The next year, 1995, was probably the year that cemented the Kentucky Derby as a pseudo-holiday in the Cooper Family. That year, there wasn’t a “Holy Bull” type of favorite. Instead there were a handful of potential contenders, one of which was Thunder Gulch. I’m not sure if we picked horses or not in 1995, but as the horses turned the corner into the home stretch, I remember freaking out that Thunder Gulch was in the lead and pulling away. It was the last 10 seconds of the fastest two minutes in sports, the part when the announcer went crazy over Thunder Gulch, that’s probably what launched this Cooper Family tradition. 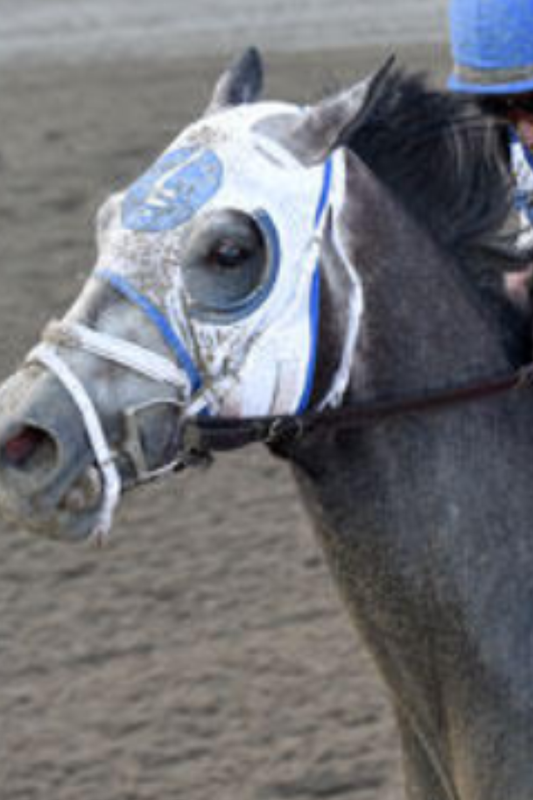 Those two horses – Holy Bull and Thunder Gulch – have continued to live on in our family as staples for trash talking to this day. These days, most of us don’t even realize the Kentucky Derby is coming up until it’s practically the day of the race. And then we frantically throw our names in a hat to determine the picking order, find the list of contenders, and make our choices with little or no information about any of the horses, jockeys, past races, owners or trainers. All we really see is the name, the odds, the gate position, and maybe a single sentence blurb in the newspaper or kentuckyderby.com. If I’m totally honest, it’s a complete joke, really. We don’t really care about horse racing. But trash talking seems to be a family love language, so it’s one of my favorite events of the year. Don’t be fooled by my opinions, picks or comments in this blog. I know nothing about horse racing. But I know a lot about trivial trash talking. All the horses are picked each year, so the selecting simply cycles back through in reverse order to the beginning. Names are then re-picked to pick the remaining horses left after the first cycle through the picking order. Typically there are only a couple of these left, and they’re always the “also-rans” and it has no impact on the picking. * – Randomly selected as the recipient of the final Pick 19. I’m not thrilled about my picking placement this year. Barring a bizarre selection by those before me, the 6th pick takes me out of the running for one of the favorites (California Chrome, Wicked Strong, Danza, Intense Holiday). However, the bright side is that the difference between pick 6 and 13 isn’t very different – I’ll end up with two horses with odds between 15-1 and 20-1 probably – which means I’ll have two good-not-great horses running this year. Unlike Karlie or Grandpa who will be putting all their stake in their first pick, I at least will end up with another horse who isn’t a guaranteed also-ran. Pick #6 Targets: Samraat, Wildcat Red, Ride on Curlin. Pick #13 Targets: Medal Count, Dance with Fate, General A Rod, Vicar’s in Trouble. …but who knows what will happen before me, and who knows if I’ll have a last minute change of heart when my pick comes up. Okay, let’s to this. Commencing draft in 3…2…1…. The obvious first pick overall coming in at 2-1 odds. The clear favorite. Possibly another Holy Bull? Hope so. Otherwise this is a snoozer Derby Draft. Also, I have Paul Simon stuck in my head. I could feel a wild card pick coming here, and I wasn’t disappointed. From everything I’ve read about Chitzu (which is tons) he sounds like a real loser. Grandpa takes a gamble. A pick of the heart. This is the horse I actually think will win. Tough position coming out of the farthest gate from the rail. Also, killer uniform with the diagonal red stripe across the chest. Named after Tony Danza. No thanks. He’s starting right next to California Chrome out of the gate too, which makes me think one of the two will take the edge and the other will get pinned. Plus…Danza. Worst named horse ever. This could’ve fallen to #13 and I wouldn’t have picked him. Glad to get him off the list of names I have to stare at. My pick is still Samraat even though Intense Holiday fell to me. The name means “emperor” in Sanskrit, so basically the rest of the horses have no chance. Honestly, I just like Samraat picking up the space after Kodachrome and Tony Danza take too much time jockeying against each other to the inside. I might have picked this horse, but my sister is a student at K-State right now, so I had a feeling she wanted it the pick after mine. You can have it Anna. What a miracle that a horse with 9-1 odds fell all the way to #8. However, he’s going to be starting out of Gate 17, and no horse has ever won the Derby from that position. Dumb name, but awesome uniforms: maroon with a white circle. So fresh. Some people are picking A-Rod to win the whole thing, but that seems like a dream to me. Clearly, my dad has been researching the “expert picks” and bought into the hype. Could’ve had two way better horses with his back-to-back picks than the two he ended up with, in my opinion. I really wanted Vicar’s. He’s a pace horse. With the scratch of two horses, they’ve shifted back starting gates one position outward. With two complete clods in the next two positions (Uncle Sigh & Harry’s Holiday), I think he’ll have a seamless break and pace the group. Maybe with no early competition he can hold the pace the whole way? Terrible pick, but Anna is a sucker for Spanish names. It was between Medal Count, Dance with Fate and Ride On Curlin here. But I can’t stand Calvin Borel, who is super whiney and obnoxious and is riding Ride On Curlin. And Medal Count is wearing my favorite number, 14, so duh. Should get pinched between California Chrome/Danza on one side and Vicar’s In Trouble on the other. With no speed, he has no chance. Goofy name. Lovable, yet no shot at the Roses. This is a great pick here. Would’ve been fine with DWF instead of Medal Count. I think Holly had the best pair of horses this year for sure. You can have Calvin Borel, Grandpa. Also, your pick #17 was better than your pick #2. Better than Harry’s Holiday. Picking up the spoils, but having California Chrome is enough clout in this race to still be the favorite to win this year. See “Uncle Sigh” only waaay worse. The picks are in! The 140th Kentucky Derby runs at 5:24 PM CST on NBC. Check back later for the update with the results! Here we go Samraat & Medal Count. Do it good fellas. UPDATE: Well. It was a snoozer of a Derby after all, and California Chrome won by a significant margin in the end. Sigh. So the winner this year was Karlie. In more surprising news, however, Karlie’s backup horse, Commanding Curve, finished strong and passed both Danza (3rd) and Wicked Strong (4th) in the final stretch and ended second. My horses…did okay, I guess. Samraat looked strong and was positioned well entering the stretch – he was neck and neck with California Chrome – but couldn’t maintain the pace. He finished 5th. Medal Count finished 8th. About as good as I could’ve picked with the options available to me. 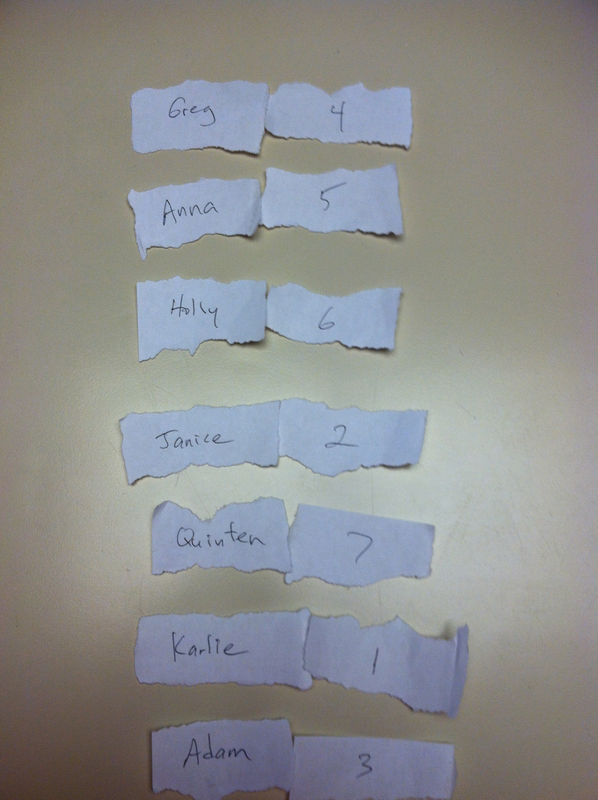 But ultimately, the contest was over the moment Karlie’s name was drawn for the #1 pick. California Chrome looked as strong as he could’ve…could he win the Triple Crown? !